iPhone 5 is also the thinnest smartphone in the world, with an all-new 7.6 mm anodized aluminum body that is 18 percent thinner and 20 percent lighter than iPhone 4S. iPhone 5 comes in either white & silver or black & slate, and will be available in the US for a suggested retail price of $199 (US) for the 16GB model and $299 (US) for the 32GB model and $399 (US) for the 64GB model. iPhone 5 will be available from the Apple Online Store (www.apple.com), Apple’s retail stores, and through AT&T, Sprint, Verizon Wireless and select Apple Authorized Resellers. 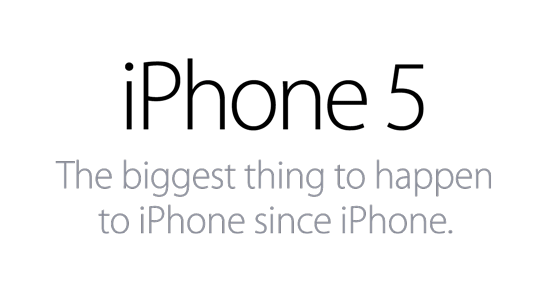 iPhone 5 will be available in the US, Australia, Canada, France, Germany, Hong Kong, Japan, Singapore and the UK on Friday, September 21. No mention yet of South African availability. iOS 6 software will be available on Wednesday, September 19 as a free software update. Previous PostPrevious Private Pinterest boards – The missing feature!